Read the full biweekly report here! 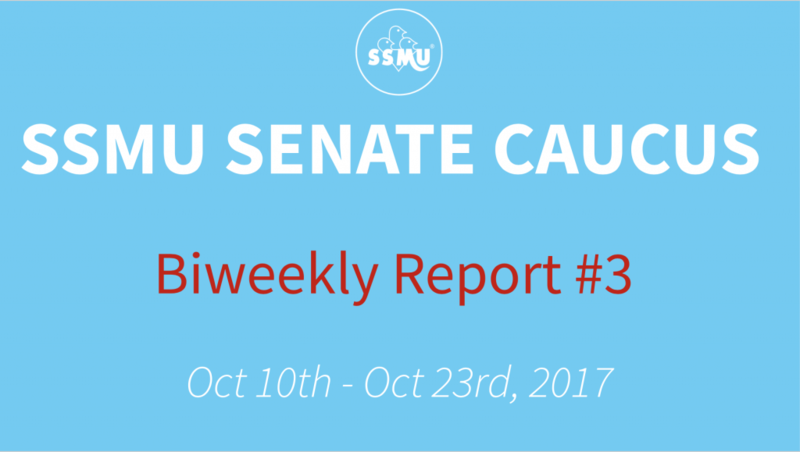 You can also find our previous biweekly reports here in the Senators’ blog. Discussed setting up a Reddit AMA the week before Senate for students to anonymously ask questions about Senate motions. Discussed the possibility of AVEQ affiliation, and what the implications of this would be for the various faculties. Muna gave a presentation on the Board of Governors –> she will be including updates in her reports. Discussed Bill 62 and it’s implications, specifically regarding the McGill context. If you’re interested in attending a Senate Caucus meeting to learn more about what the Senators do, feel free to email me (the UA Secretary) to get more information. 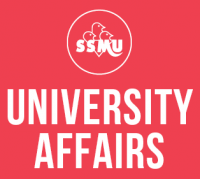 Senate Caucus meetings are held every Monday at 6:30 PM in the SSMU Office Boardroom.